Bakersfield City Council members haven’t answered basic questions about their role in a push by powerful lobbyists to kill popular Property Assessed Clean Energy (PACE) financing for homeowners. Attorneys hired by the city haven’t honored our request for council members’ text messages or text logs, despite a March 2017 ruling by the California Supreme Court that declared such communications on public business to be public records. This pattern of stonewalling by Bakersfield and Kern County officials was underway before a burgeoning county corruption scandal triggered an investigation by the local District Attorney. The Bakersfield City Council is also facing a separate lawsuit by first amendment advocates who argue that the city violated the Ralph M. Brown Act when it held closed door meetings on municipal revenue policies. A hub-spoke distribution is a system of connections arranged like a wire wheel. One individual member acts as the hub, or the center of the wheel and feeds and receives information to and from other members. The hub-spoke version of a meeting occurs when one board member, or representative of a board member, individually contacts other members to discuss an item of business or transaction. When a person acts as the hub of a wheel (member A) and communicates individually with the various spokes (members B and C), a serial meeting has occurred. This centralized network system allows one person to coordinate messages and create a concerted plan to engage in public business through a series of communications that violates the Brown Act. The daisy-chain meeting occurs when one member calls another to discuss business and the second member calls a third to discuss the conversation, and so on…. For example, a chain of communications involving contact from member A to member B who then has communications with member C would constitute a serial meeting in the case of a five-person body. This sequence of relaying information from one person to the next, like a chain link, is similar to the game of “telephone,” and violates the Brown Act. 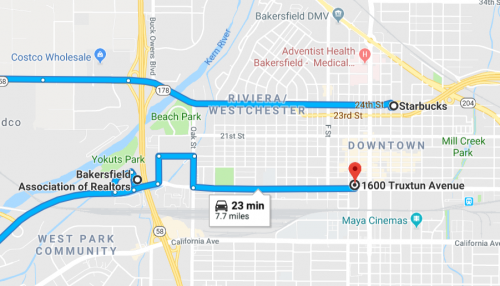 From the records we have obtained, we see a pattern of contact between Bakersfield City Councilmen Andrae Gonzales and Ken Weir. On Friday, May 26, 2017 at 2 pm, Councilman Gonzales went to the Bakersfield Association of Realtors where, we believe, he met with Director of Government Affairs Kim Schaefer and others. The subject, according to Gonzales’ calendar, was PACE. Ninety minutes later, Gonzales traveled to Starbucks, where at 3:30 pm, again according to his calendar, he met with Councilman Ken Weir. The day before, on Thursday, May 25, Bakersfield City Manager Alan Tandy sent to Council Members Gonzales and Weir a packet that included “emails and lobbying material” from Kim Schaefer and PACE providers. 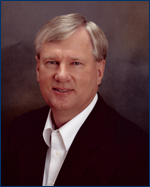 On May 30, Councilman Weir declared during a meeting of the Budget and Finance Committee that PACE was “poor public policy,” and he made a motion to have the full council look at the issue. Both Gonzales and Weir voted to end the PACE program in Bakersfield on July 19, 2017. 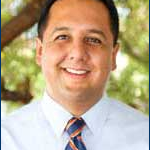 No records of meetings between Council Members Gonzales and Weir and PACE proponents have been provided. The great irony is that Bakersfield City Council members could have saved taxpayers thousands of dollars in lawyers and staff costs if they had just agreed to “cure and correct” their alleged Brown Act violation and hold a full public revote on the PACE program. Now, despite the California Supreme Court’s ruling, the city’s lawyers are saying that council members’ “privacy” rights mean they don’t have to search for whatever records may exist on the council members’ “private” phones. The public deserves a full accounting of whatever dealing elected officials in Bakersfield and Kern County have had had with powerful lobbyists. Foot-dragging, and a refusal to “cure and correct” by holding another full public meeting, have forced us file a public interest lawsuit to enforce the public’s right to know. 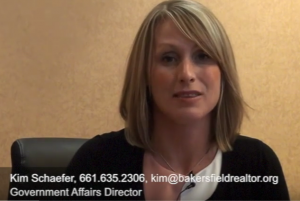 What are Bakersfield council members still hiding about their coordination with realtor lobbyists?